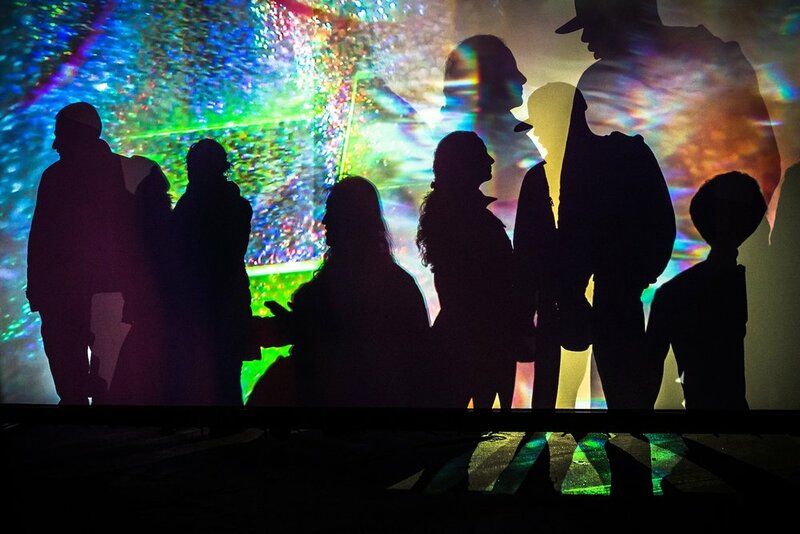 your heart is a prism is an immersive video installation accompanied by live optical manipulations and live sound scores. Made through the analog process of filming light through a series of optical mediums (prisms, crystals, radiant plexiglas, rainbow diffraction grating films, and various lenses), the resulting video is further altered by placing these same optical mediums in the path of the projectors beam, casting fragments, reflections, and washes of light all around the space. 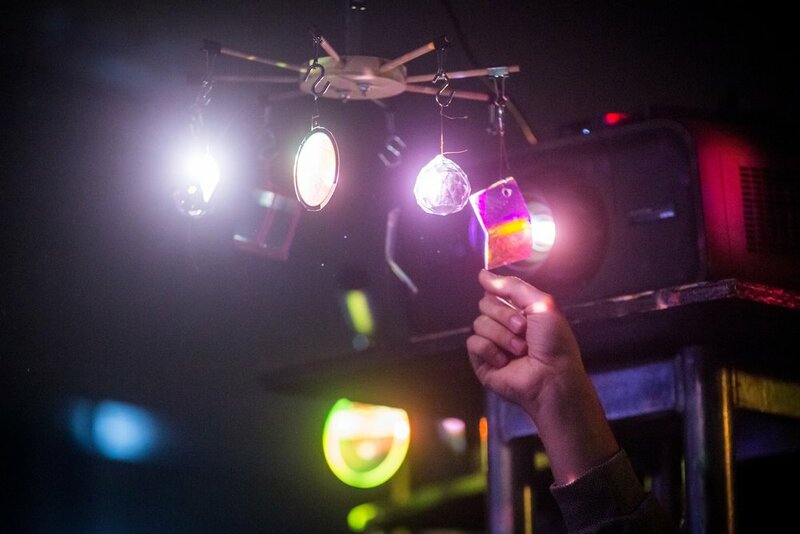 your heart is a prism was originally commissioned as a single-channel video installation with automated lens effects and a series of live sound performances for the Mattress Factory's SCREENINGS series. 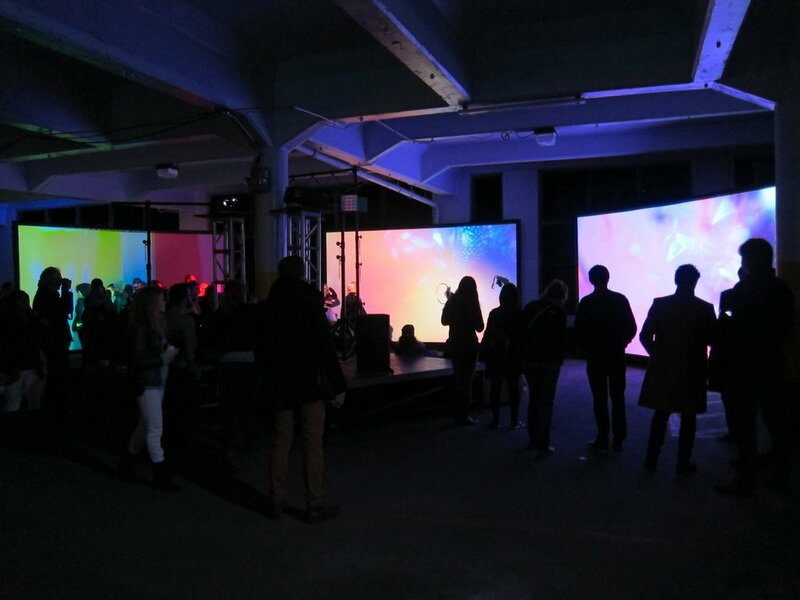 A three-channel iteration was created for ILLUMINUS Boston with live video manipulations by Kevin Clancy and live sound performances by omnivore and Marc McNulty. The video was filmed at Cat Mansion Residency in Ann Arbor, MI and Sleeping Bear Dunes in Empire, MI. The title and mantra of this piece was inspired by the “Your Heart Is A Prism!” poster by Peter Glantz, Becky Stark, and Jacob Ciocci.